Do you love exploring new places? Do you want to manage your holidays? When you plan for holidays, do you get confused about where to go and how to plan your journey? 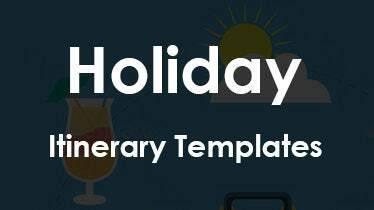 Do not worry, we have got the best option for you to manage your holidays, here we come up with free holiday itinerary template. 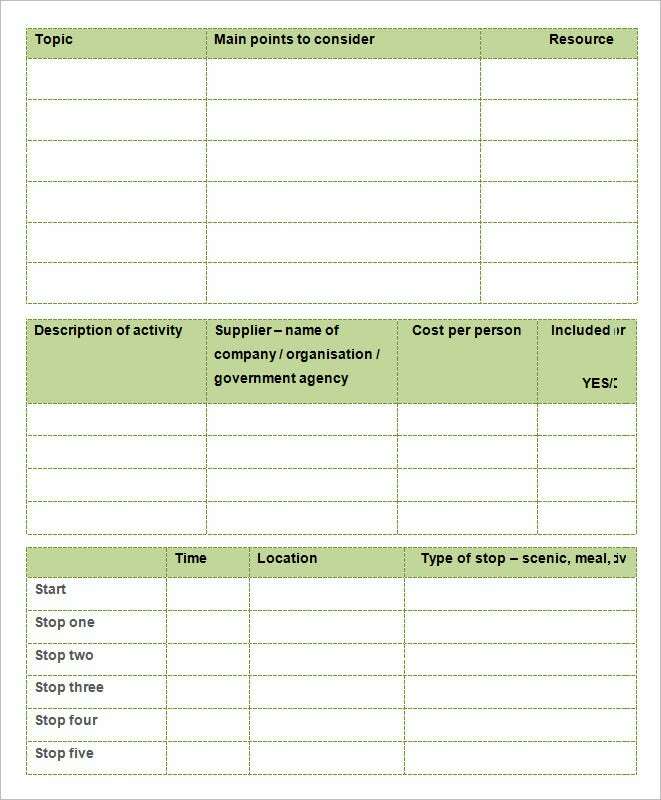 This sample holiday itinerary template helps you planning all your visits during your holiday period. 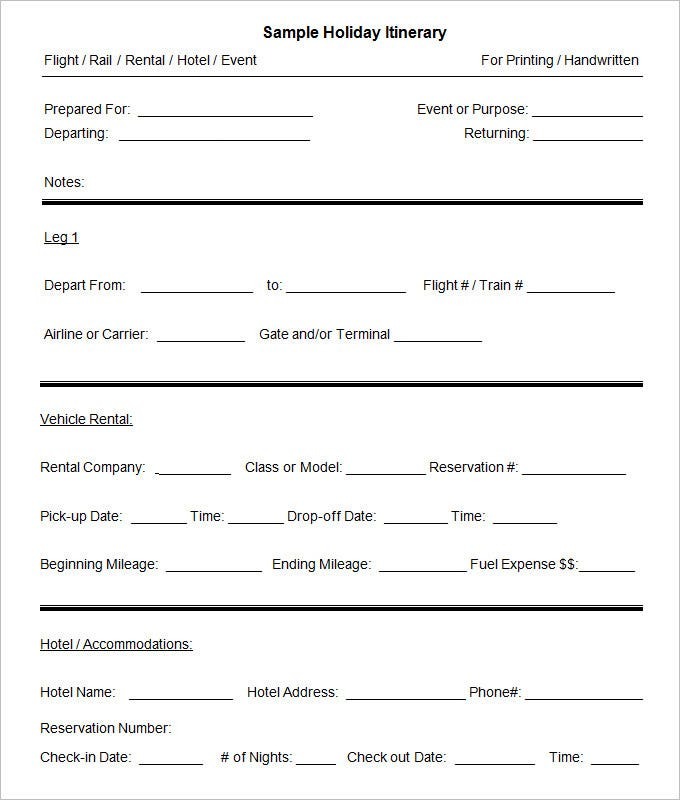 What to do with these Holiday Itinerary Templates? Holidays are an exciting time for families and friends. 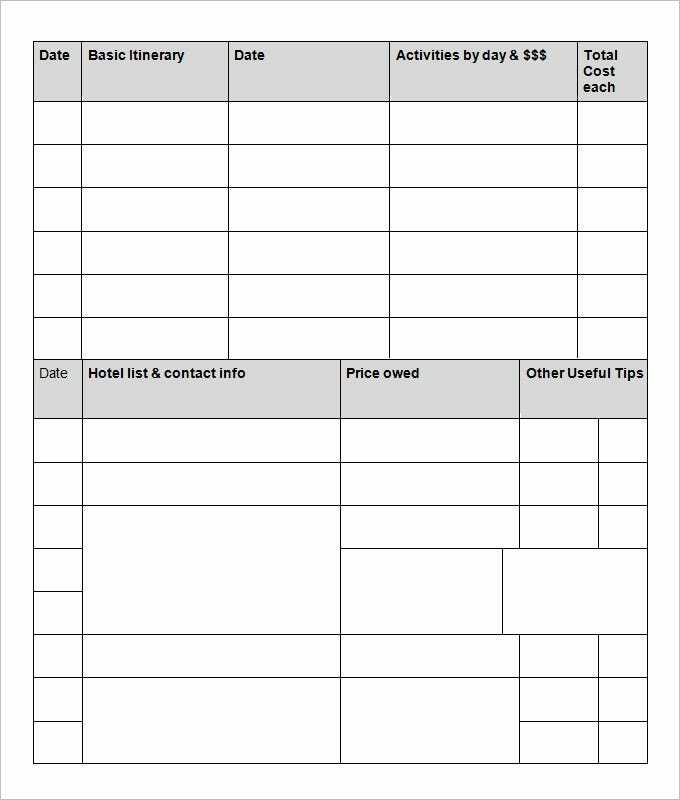 Irrespective of whether you’re travelling alone or you have a companion (or an entourage), it always helps to have a holiday itinerary prepared. With it, you can stick to your travel plans and never have to worry about missing out visiting any place or locale. 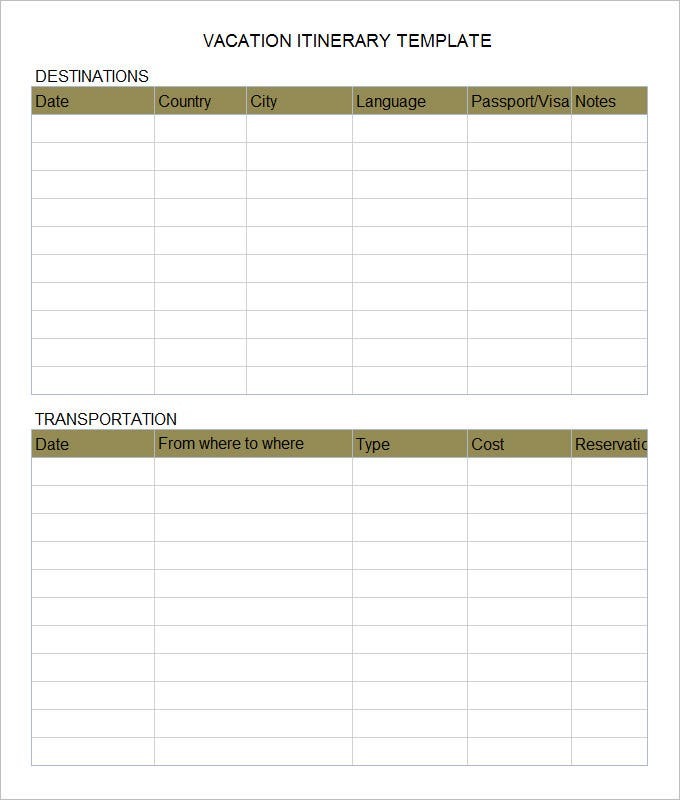 There are ready made customizable templates easily available for your assistance. The best part is that you can use it online sitting anywhere, when you get time. You need to tell us your holiday dates, transport and hotel booking confirmation and rest is our responsibility to filter out every hurdle in your enjoyment during holidays. 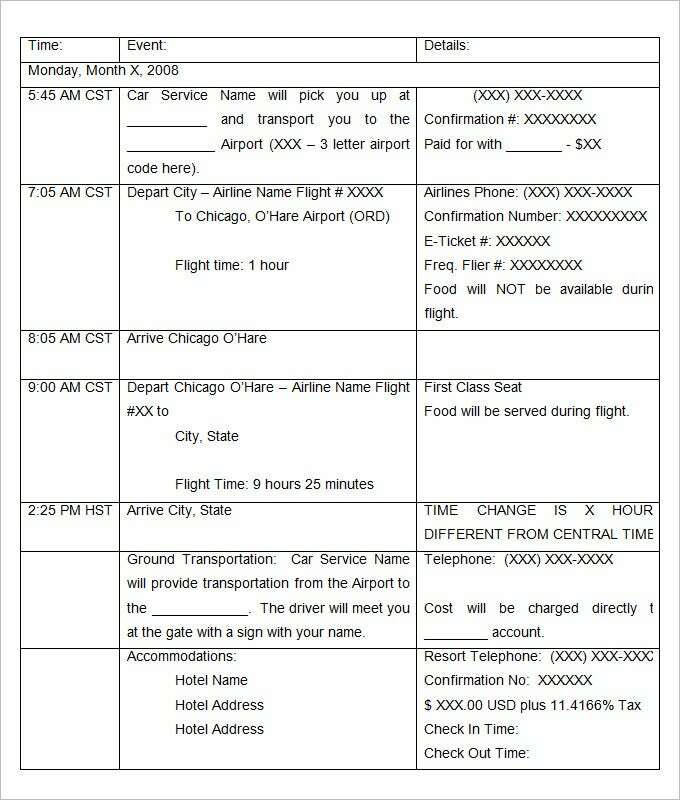 Why to use Holiday Itinerary Templates? 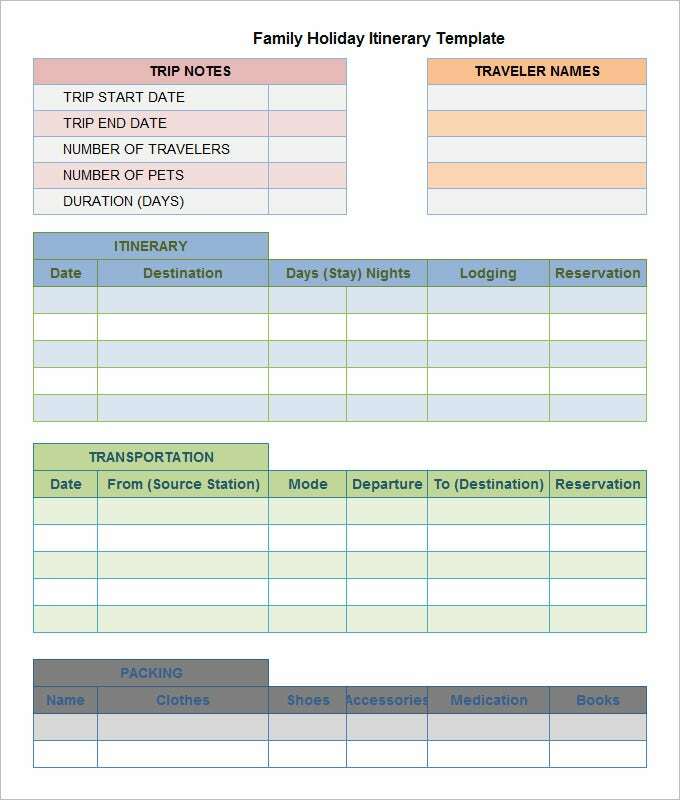 Holiday itinerary template makes your holidays more managed so that you can live your trip to the fullest. There are numerous benefits of using it, out of them some highlights are: It is free to use. It has got online access. It manages every movement during trip.